Trainer Darren Weir will have a strong hand in the Bletchingly Stakes at Caulfield. 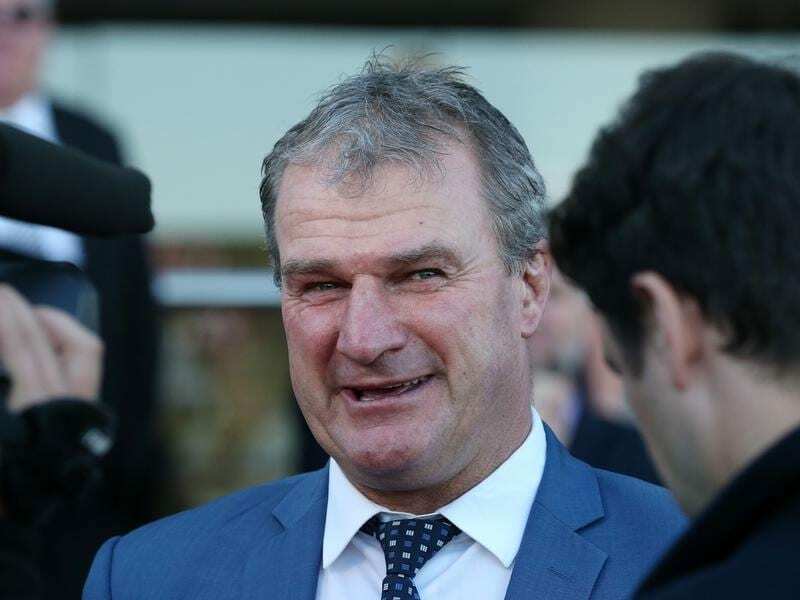 Premier trainer Darren Weir is expected to have at least four runners in Melbourne’s final stakes race of the season, the Group Three Bletchingly Stakes, while connections of Nature Strip have options in two states. Nature Strip could head to Adelaide for Saturday’s Listed Lightning Stakes (1050m) but Weir said a final decision had not been made, with the exciting gelding to also be nominated for Saturday’s weight-for-age Bletchingly (1200m) at Caulfield. “The horse is going great so whichever race he runs in he’s going to run very well,” Weir said. Weir said the appeal of the Lightning Stakes was that it was restricted to two and three-year-olds and would be a slight step back in distance to 1050m. “We’ll probably accept in both and have a look,” Weir said. “(The Lightning) is for two and three-year-olds, it’s 1050 metres and it’s a $100,000 race. Weir has last-start Sir John Monash Stakes winner Voodoo Lad heading to the Bletchingly along with multiple Group One winner Black Heart Bart who is set to make his return. Stablemates Camdus, winner of the All Victorian Sprint Series Final last start, and Man From Uncle are also scheduled to head to the Bletchingly. “Voodoo Lad and Black Heart Bart are the two main ones obviously and we’ll have Man From Uncle and Camdus as well,” Weir said. Voodoo Lad stormed home from last to win the Monash (1100m) at Caulfield last Saturday week. Weir is happy with the way Black Heart Bart is coming along as he heads towards the Group One Memsie Stakes in early September. “He’ll be a bit underdone but he’s great,” Weir said. Weir said Humidor, Caulfield Cup favourite Kings Will Dream and Japanese import Danon Liberty were all likely to kick off their campaigns in the P B Lawrence Stakes (1400m) next month.